Remember MSN.com? It’s still around – and Microsoft is trying to bring it back by relaunching its mobile apps with a new moniker. 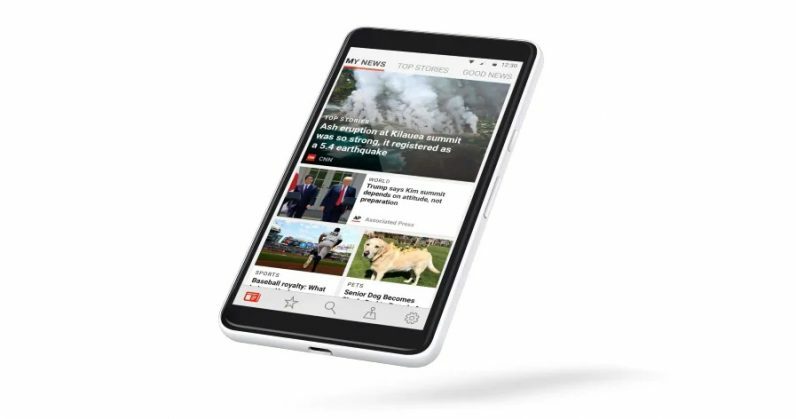 Available for Android and iOS, Microsoft News brings you stories from the company’s MSN News effort, that’s been online for several years – with a modern interface that should be familiar to folks who’ve tried Apple News and Google News. The service brings curated news from more than 1,000 publishers and 3,000 brands. Microsoft says that its AI scans more than 100,000 pieces of content each day, and has over 800 human editors across the globe to select the top stories that its app will surface on your device. This effort also “powers news on Microsoft Edge, the News app in Windows 10, Skype, Xbox and Outlook.com.” To that end, signing in with your Microsoft account syncs your news preferences across all the devices you’re logged in on. I spent a few minutes with the Android app, and found the interface to be simple enough to navigate. You’ll initially be prompted to indicate your interests to aid curation, after which you can browse through stories sorted into the categories you selected. There’s also a section for local news; testing it in my hometown of Bangalore, India, I was served up stories from various outlets covering my city. However, these articles were displayed in an in-app browser, as opposed to the native view. You can choose between a light and dark theme, and opt to receive notifications for breaking news stories. One feature I missed from Google News is the ‘Full Coverage’ button, which brings up multiple publications’ perspectives on the same topic or event in a single list. Microsoft says it supports publishers by offering them channels to earn revenue, but it didn’t exactly how that works. It’s likely through partnerships and a bespoke advertising platform (you can see ads in the app which aren’t present in the articles’ original web view); the company noted that it’s “delivered more than $600 million back to our publishers” in the past four years. While I prefer Google News’ UI, Microsoft’s offering is a formidable rival that arguably does a better job of surfacing local content. You can try it now by grabbing the free app from Google Play and the App Store.